Tom Crone began his judo training in 1960 as a freshman at Mankato State College, Minnesota. 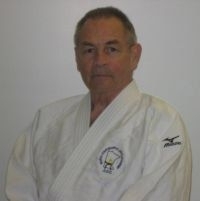 He rose to the rank of shodan (1st degree black belt) in three years, having won successive state championships and placing in the First Collegiate National Championships in Colorado Springs, CO, in 1962. Crone Sensei became the first home-grown Minnesota judoka to reach the ranks of 6th and 7th degree black belt awarded by a nationally accredited judo organization. He has been the instructor for the University of Minnesota's academic credit course since 1995. He is Sensei Emeritus of North Star Judo.